Indigenous calendars comprise the spiritual and cosmological teachings that can teach individuals and communities how to live in balance. Therefore, the use of Indigenous calendars is an important path to a balanced relationship with the earth, as well as with the phases of the moon, the sun and Venus. 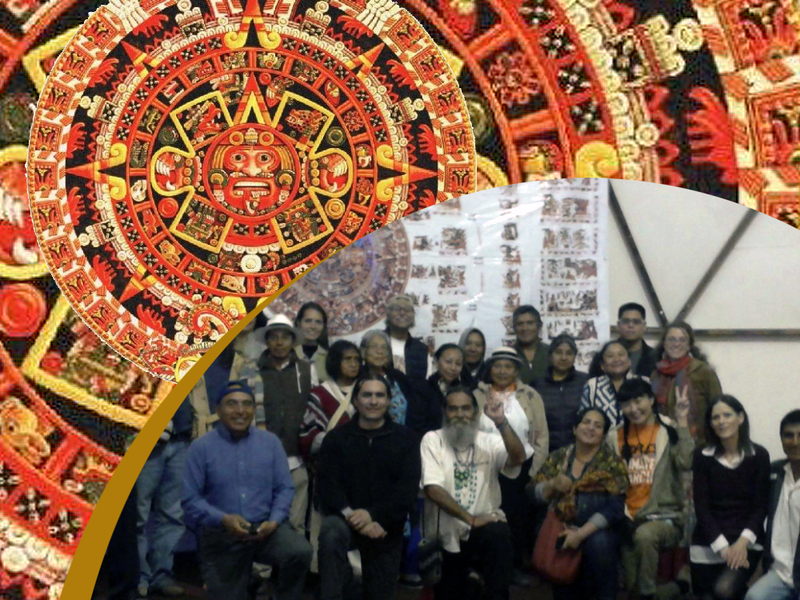 This project aims to bring back Indigenous calendar reading and use as a way to reinforce the fabric of communities and create tools for identity and leadership based on ancient cosmology. Timekeepers from different Indigenous cultures across Turtle Island—Otomies, Hopi, Mohawk, Onondaga, Kogi— will come together to share and discuss the interconnection of calendars and to create specific projects that will promote a greater understanding of this new era, post-2012, the New Dawn of Indigenous Peoples. In the long-term, the vision is for communities to create their own calendars and use balance and harmony with time as their compass for decision-making and for planning the growth of their communities in alignment with their cosmologies.